Last week, I went with a group of friends to a restaurant called Secret Of Louisiana in Kelana Jaya for some authentic Cajun cuisine. It was my first time there and I was pleasantly surprised by the nice ambience of this lake-side restaurant. Yes, the restaurant faces the Kelana Jaya Lake so it was a great experience dining there! Frankly speaking, I was not too familiar with Cajun cuisine although I have heard of it before mainly in American restaurants. 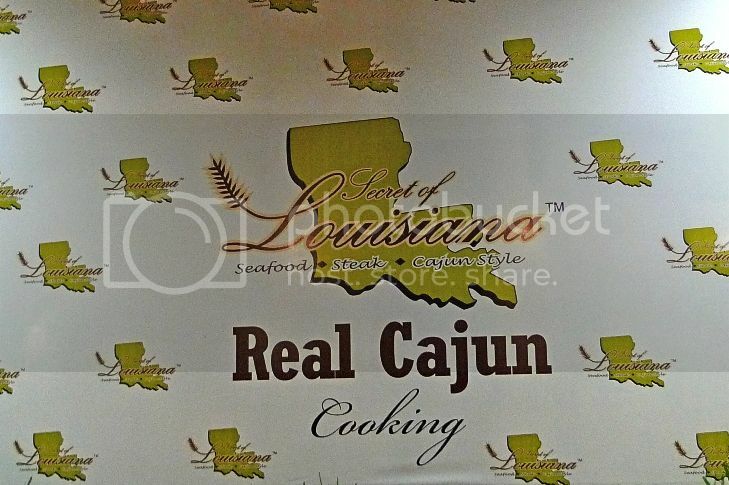 Well, that night, I learnt that Cajun cuisine is actually a style of cooking practised by the French-speaking immigrants living in Louisiana, USA. 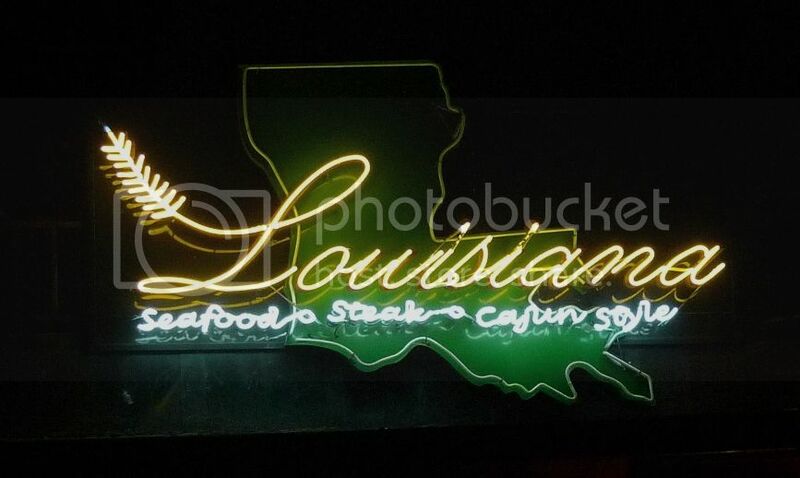 These "Cajun" immigrants, which were deported by the British from Canada to Louisiana, then adapted their French rustic cuisine to the local ingredients such as rice, crawfish and sugar cane. 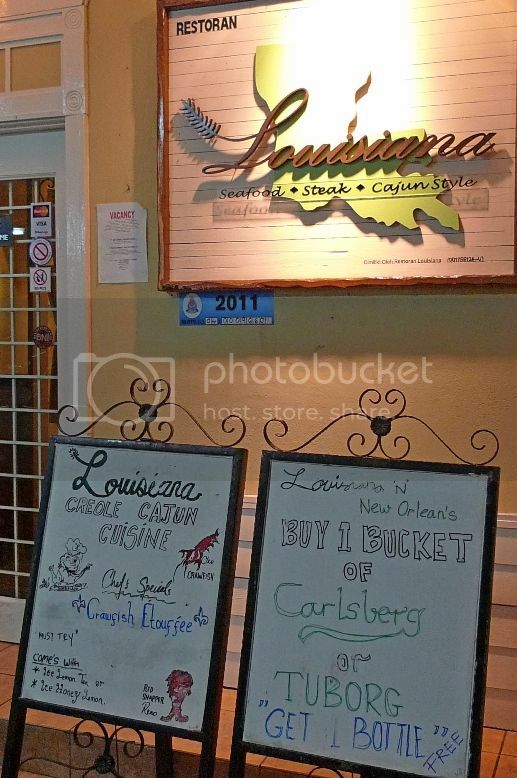 The Secret of Louisiana claims to be the one and only restaurant in Malaysia that serves authentic Cajun cooking. 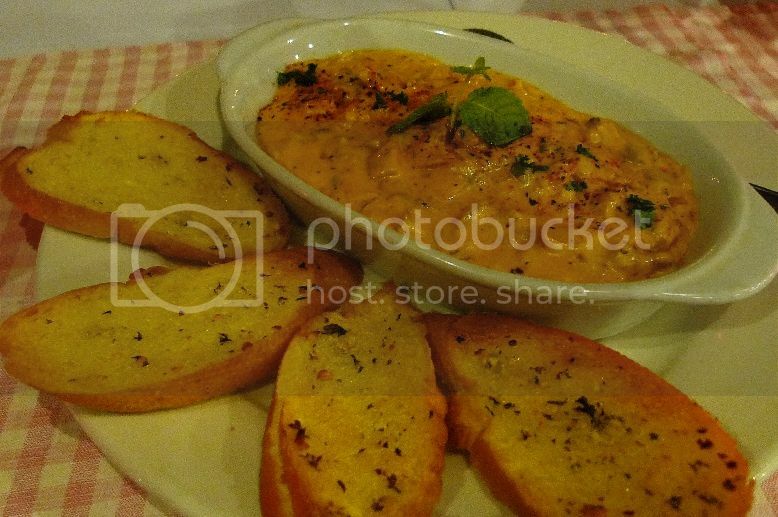 We started off our dinner with Seafood Gumbo, which is sauteed assorted seafood with thick creamy sauce, stirred in herbs, spice and mozzarella cheese and served with a few slices of garlic toasts. It was awesome! I loved this dish very much and could eat it even without the toasts! It seems that Gumbo is a very popular Cajun cooking which usually includes okra (ladies fingers) as a thickening agent. 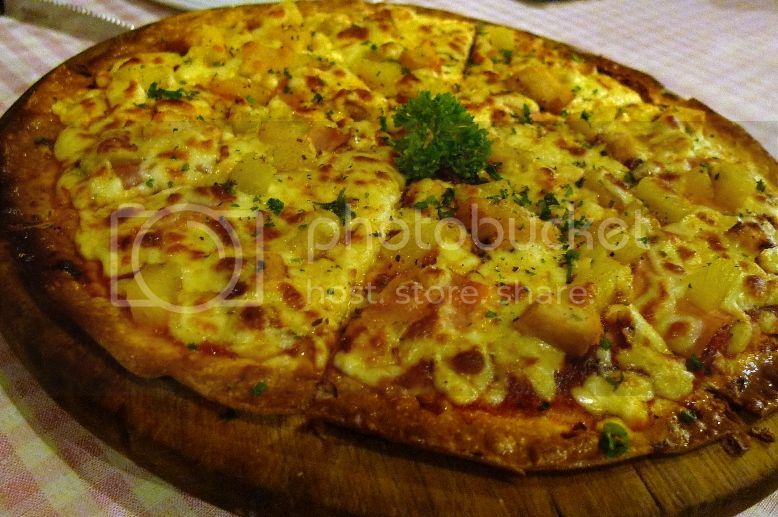 Next, we had Hawaiian Pizza, which is a thin-crusted pizza, oven-baked with mozzarella cheese, diced pineapples and turkey ham over marinara sauce that is topped with even more mozzarella cheese! It was quite tasty although I found the texture more chewy than crispy as I would expect from most thin-crusted pizzas. But still, no complaints there! Either that or I was really hungry! After the pizza, the Blackened Red Fish with Cajun Vegetables came next. 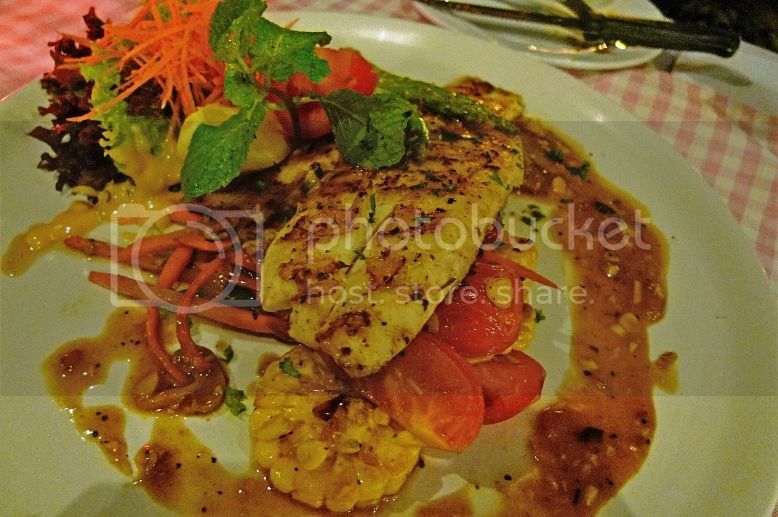 The red snapper fish was seasoned with Cajun herbs and spices and served with corn and vegetables. The fish was fresh and tasty and the blend of Cajun spices made it more delicious! After that, came the Rack of Lamb, my favourite dish of the night! It was specially selected lamb racks from New Zealand, with special Cajun seasoning and honey mustard sauce, char grilled till medium well. 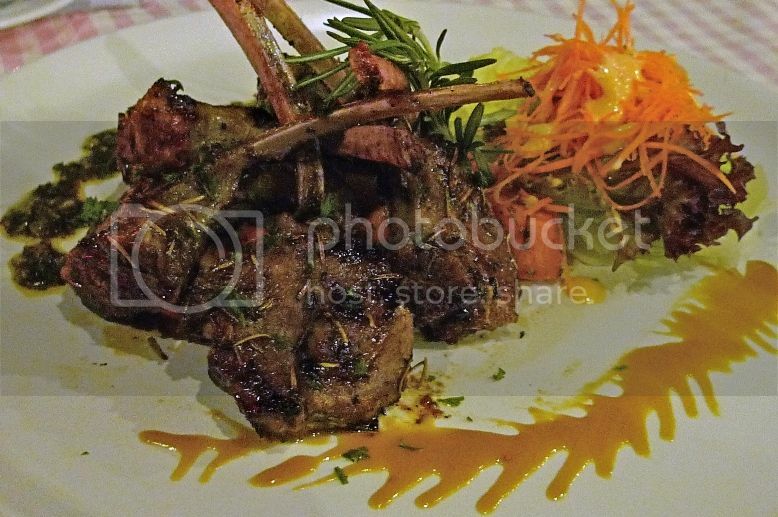 Served with baked vegetables and salad, this rack of lamb maintained its moisture and juices well, making it an outstanding dish that I would not hesitate to recommend to anyone eating here. I am a huge fan of pastas and prawns so the next dish was definitely another of my favourite! It's Louisiana Famous Shrimps Scampi, a pasta dish served with char grilled prawns from Sabah, sauteed with Cajun spice, tomatoes, lemon juice, roasted garlic and parsley. 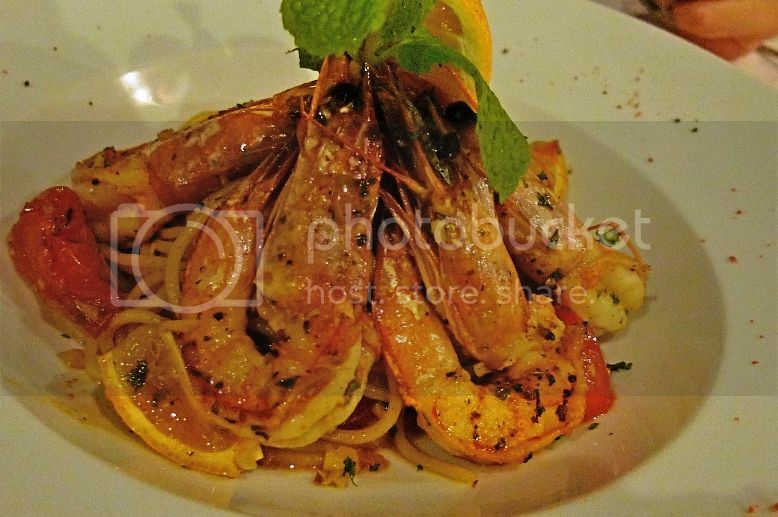 The pasta was al dente, which is a must for me, and the Sabah prawns or shrimps were huge, fresh and succulent! Yummy!! I am not a fan of burgers and normally I would not order burgers for dinner. But this Original American Cheese Burger was not bad at all! 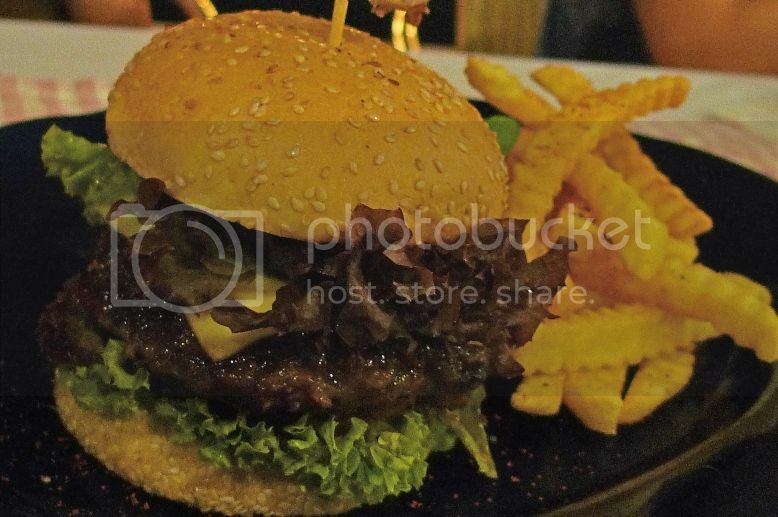 Thick, pure ground beef served on a sesame bun with lettuce, tomatoes, capsicum and cheddar cheese, this burger was really juicy! I guess the unique Cajun seasonings and flavours made a big difference to this beef burger! I enjoyed dining at this restaurant with my friends that night. 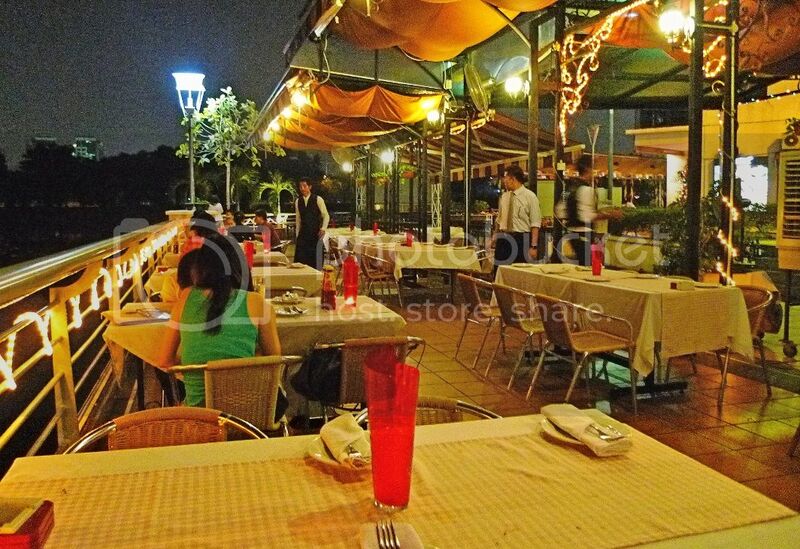 With its nice lake-side ambience, it's definitely a great place to dine and to chill out.